I went through my drafts and I found this little gem! 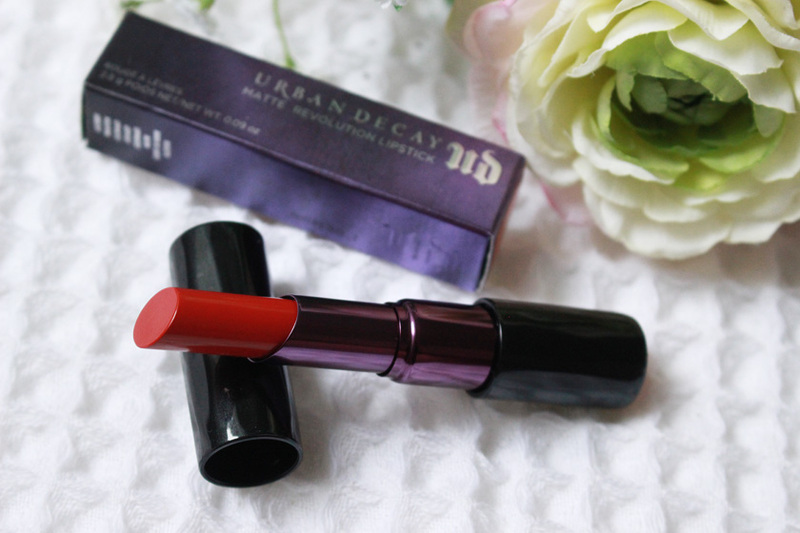 The Urban Decay Matte Revolution Lipstick*(£15.50) in Temper. 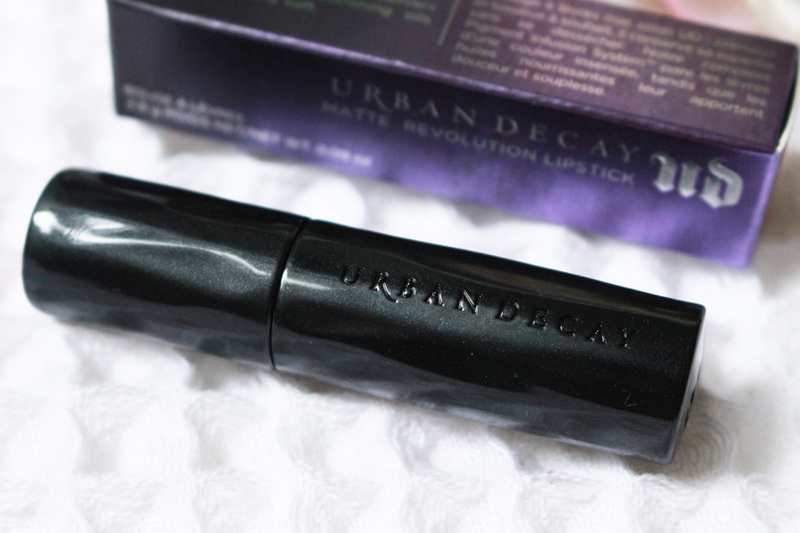 Urban Decay are mostly known for their eye shadows, but they really upped their game with other products too. 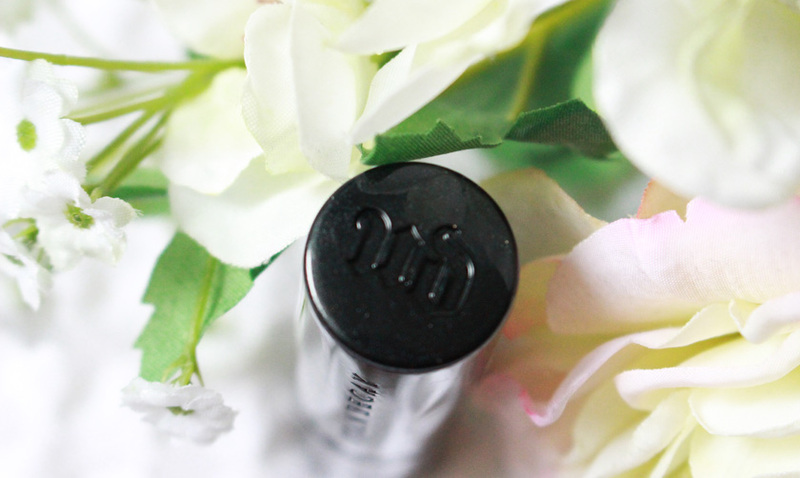 The Matte Revolution Lipsticks are to die for. From the packaging, to the formula, I can fault these! First of all, the sleek packaging is very Urban Decay, if you know what I mean. Cool and edgy. The actual formula is incredible too. Super pigmented, featuring the UD Pigment Infusion System, creamy and easy to apply. 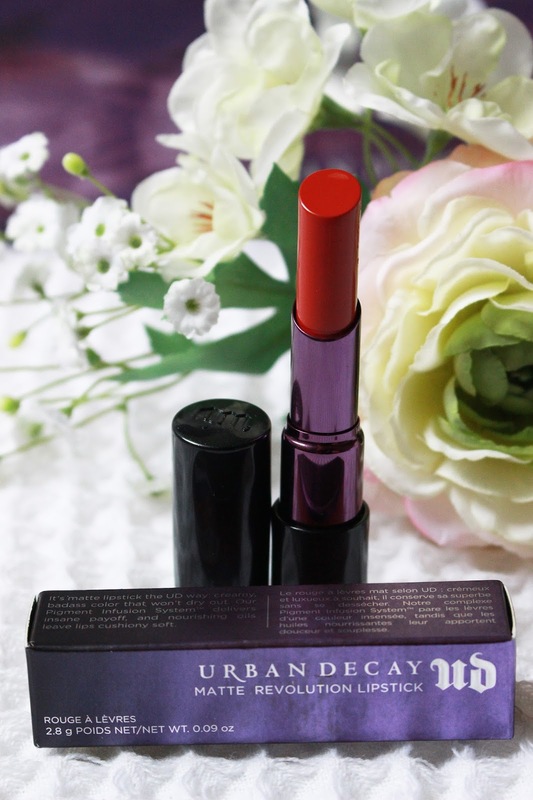 The texture is almost velvety and doesn't dry out the lips, unlike most matte lipsticks. This beauty contains avocado, olive and babassu oils, shea butter, illipe butter, vitamin C and vitamin E. Amazing! 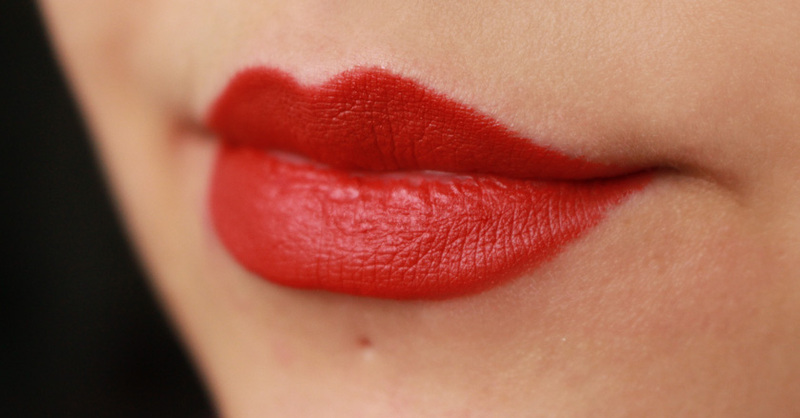 I like using the lipstick with a lip brush to outline the shape of my lips and then go in with the bullet and apply more product. One swipe gives insane colour pay-off and it stays put literally all day, unless you eat a greasy burger or something oily that can break the product down. There are 11 shades available (2 exclusive to UD online and instore). 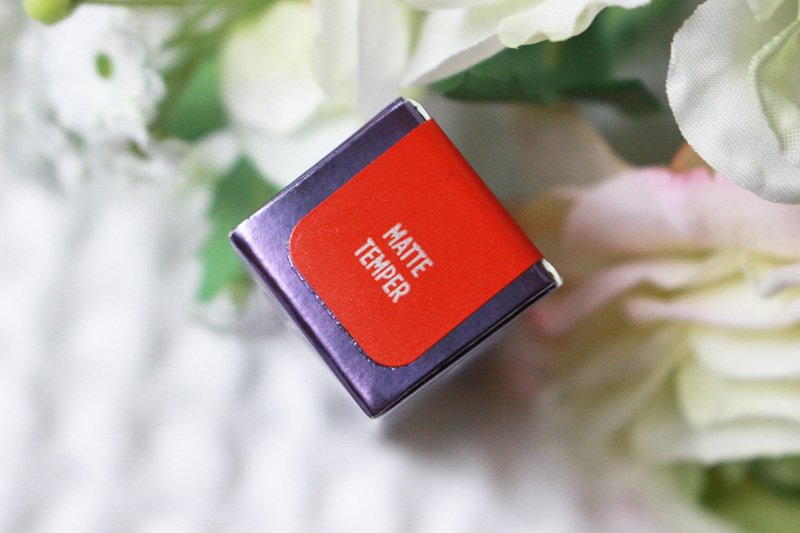 I have Temper- a lovely orange toned red, with insane pigmentation and a gorgeous finish. It is matte, but doesn't make my lips feel or look dry and stays put for absolute ages. I had a chance to swatch more of the colours from this range as well and they look incredible and the colour payoff and consistency are just as good. 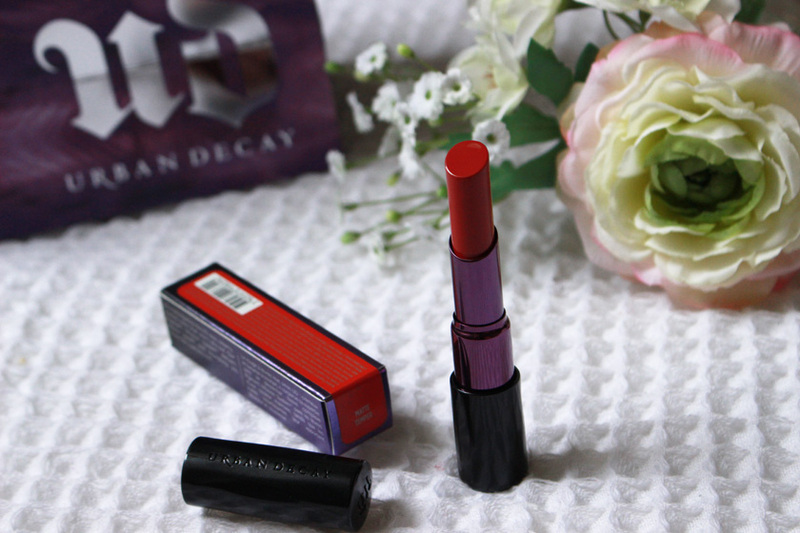 Have you tried Urban Decay lip products?